Every week I have the privilege to talk to Return Path clients about their email marketing programs and how we help them improve their ROI from their email marketing investments. From time to time, the conversation turns to the Return Path Certification program. Certain questions about Certification seem to come up frequently from our Software/Services clients, many of whom are not members of the Return Path Certification program. Following are answers to four of the most common questions. 1. I just follow “good sending practices.” Isn’t that enough to get into the inbox? Good sending practices are important. It is certainly possible to achieve good inbox placement by having solid acquisition practices, practicing good list hygiene, and sending contextual, personalized content to your clients. However, if you want to achieve better inbox placement at your current level of good sending practices, Return Path Certification will do the trick. 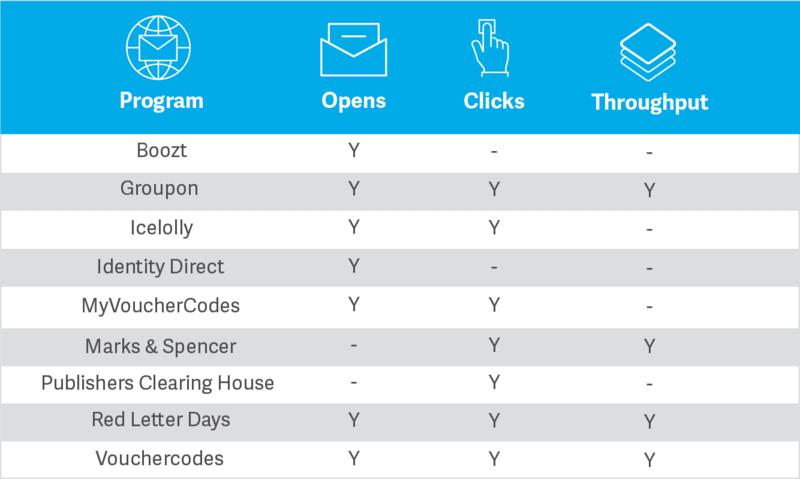 We measure the “before” and “after” inbox placement rate for each group using data from our Consumer Network, commonly referred to as our panel. These clients have the same sending practices before and after the change in their Certification status. The only thing that changes is their membership in the program and the presence of their sending IP addresses on the Certification lists that we publish to our mailbox provider partners. What did we see? 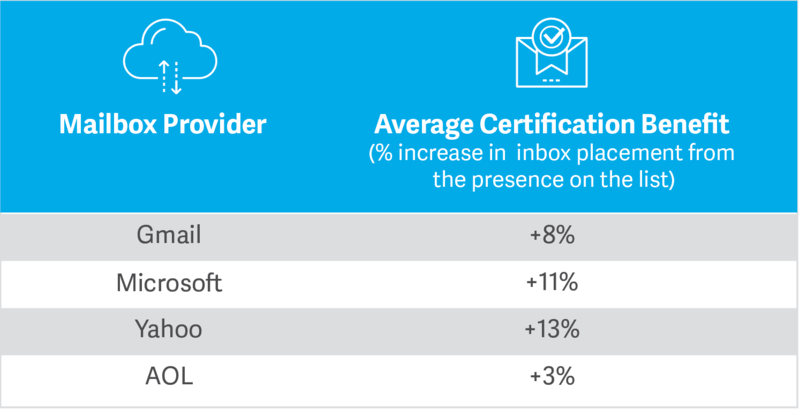 Certification provides a large, positive, statistically significant impact on inbox placement rates across major mailbox providers. Mailbox providers give additional ‘credit’ to email marketers that have demonstrated their commitment to best practices by participating in RP Certification. As a second approach to reviewing the impact of Certification, we took a look at the difference in inbox placement rate for IP addresses that were in an “enabled” state in the program vs. those IP addresses that were in a “suspended” state. For readers not familiar with the Certification program, individual IP addresses can be suspended from the program when they no longer meet quantitative standards for spam traps, complaint rates, or other metrics. 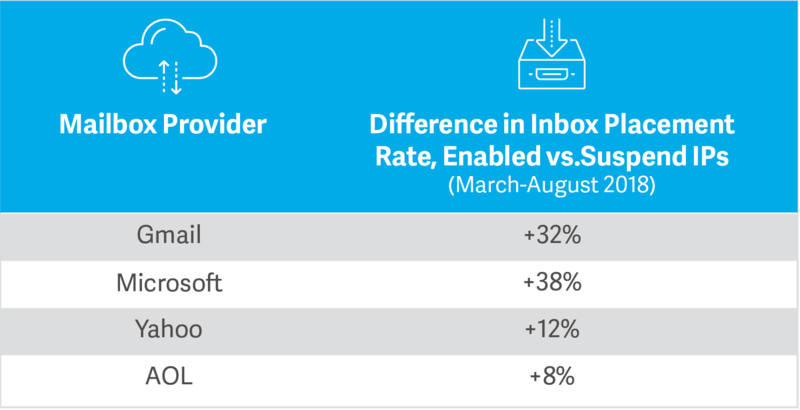 We would have expected to see IP addresses in the “enabled” state have higher inbox placement rates—and that is exactly what we found. The data above was also taken from the Return Path Consumer Network. It’s worth noting that the impact noted here is likely only partially attributable to Certification. The underlying reputation metrics of the suspended IP addresses may be driving some of the decreased inbox placement. 2. What about Gmail? Does Return Path Certification help me there? As you can see from the above tables, there is a significant positive relationship between an IP address being Certified and higher inbox placement rates at Gmail. We believe that this relationship is causative because Google queries our publicly available list of Certified IP addresses frequently (millions of queries a day) along with many other mail servers and open-source spam filtering applications. Unlike Microsoft, Verizon Media Group (AOL, Yahoo), and dozens of other mailbox providers around the world, we do not have a contractual relationship with Google. But don’t just take our word for it, take a look at the experience of our client, Health Service Discounts. 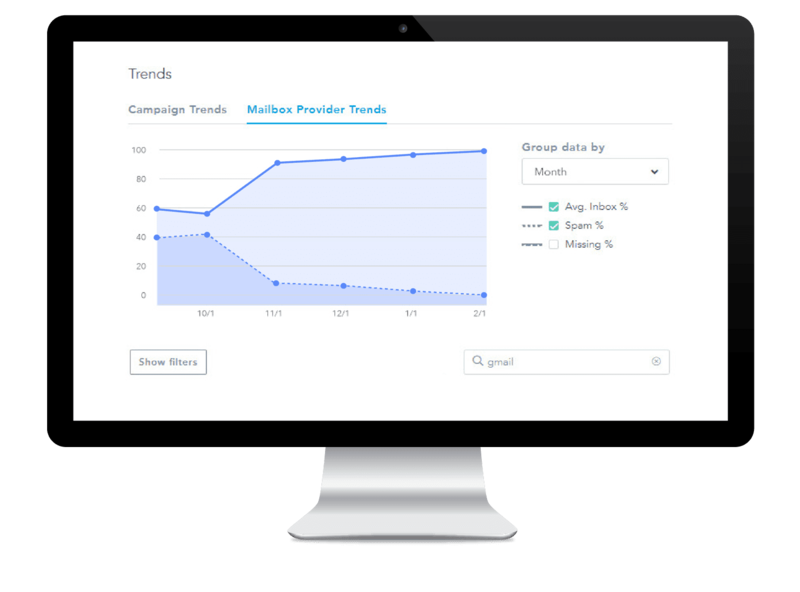 This client had experienced low inbox placement rates, with less than 70 percent of emails reaching its subscribers’ inboxes in some instances. To address their deliverability challenges, Health Service Discounts turned to Return Path’s Certification Solution. The Certification program instantly boosted Health Service Discounts’ inbox placement levels, jumping from less than 70 percent to 85 percent in the first month, and rising to 99 percent within six months. Furthermore, domain and IP reputation improvements gained from Certification had an indirect positive effect on email addresses with non-participating mailbox providers, most notably with Gmail, which delivered a 50 percent increase in deliverability and has remained stable ever since. While this is of course a single client’s case study, we have thousands of clients in the program who receive, measure, and quantify the impact of the program like this every day. 3. 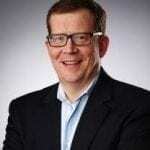 Does Certification help improve clicks, opens, or throughput? 4. Are the benefits you are talking about worth the cost? Certification costs a small fraction of our clients’ ESP costs to send mail. Our service team’s goal is to review the value that clients see from the Certification program at least once per year with the client. Over thousands of reviews, we have failed to find a positive ROI only a handful of times. If your program has a consistent 99 percent inbox placement rate prior to Certification and you don’t send a lot of emails, it may not be a great fit. Otherwise, let’s talk.